Tsutomu Senkawa is an average high school kid who is busy studying for his senior entrance exams. Tsutomu goes out for some fresh air, after a hard day's work studying for a big test, when he runs into a guy fleeing from a pretty young lady. The pursued man is actually an interplanetary criminal on the run from a Federation agent called Birdy Cephon Altera. Caught in the midst of this chase, Tsutomu gets thrown by the man at Birdy, which kills Tsutomu. Fortunately for Tsutomu, there is a way to keep him alive, although it comes at the price of discarding his body. He ends up merged into Birdy's body. 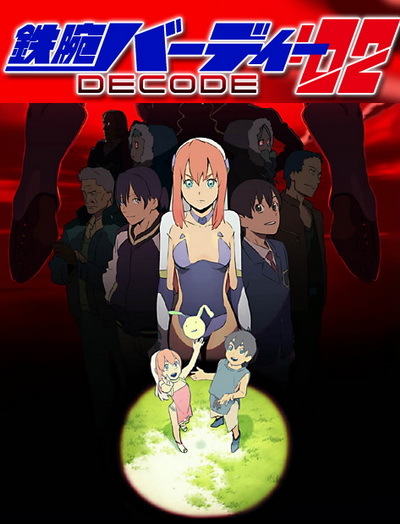 Watch Birdy the Mighty Decode 2 Episodes Online at Animegg.org. Birdy the Mighty Decode 2 is available in High Definition only through Animegg.org. Choose an episode below and start watching Birdy the Mighty Decode 2 in Subbed & Dubbed HD now.